As an art history major, you'll study art in its historical and cultural contexts. You'll examine the genre, design and style of major works including paintings, sculpture and architecture as well as contemporary media and cultural practices. Your focus will be global and contemporary art and also include related fields such as film history or anthropology. Through your coursework, you'll explore questions such as: What are this style's key features? What meaning did this convey when it was made and does this meaning differ now? How does the art function visually and culturally? What roles has art played historically and socially? 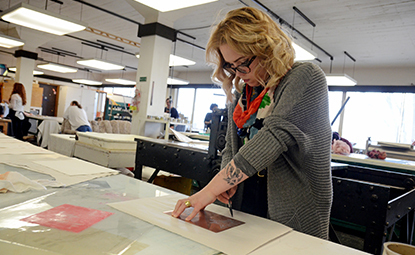 An optional internship will enable you to gain experience in a gallery, art center, arts organization or museum.